One of the most important things for any new parent is learning the best way to get their baby to sleep at night. I mean, let's face it—sleep is a precious commodity for babies and their parents alike, right? So tips for infant sleep are always a great idea. Except there's just one teeny, tiny little problem when it comes to babies and sleep. No one can quite seem to agree on the best way to get babies to sleep. For one thing, there is no such thing as a "best" way to get babies to sleep, because all babies are different and will have different sleep needs. Some babies may sleep long stretches at night from birth, while others will have more complex medical needs and may not be able to sleep long stretches at night. Another issue that has interfered with parents making decisions about baby sleep, however, is that they may be getting conflicting advice from experts about where babies should sleep. Previously, doctors were recommending that babies should share a room, but not a bed with their parents. This meant having a crib or a playpen in a parent's room, but not co-sleeping. But now, a 2017 study in Pediatrics and recommendations from the American Academy of Pediatrics (AAP) say that advice may be outdated. Should Babies Sleep in Their Own Room? 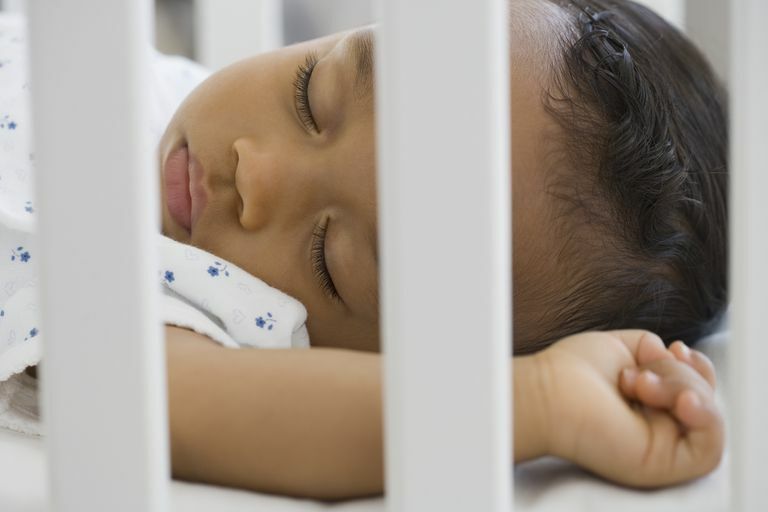 From 2011 to 2016, the American Academy of Pediatrics has recommended that infants share a room, but not a bed, as part of safe sleep practices to try to prevent SIDS and sleep-related deaths. But now, the AAP is saying that it's actually not that simple. And in fact, they are now recommending that it may actually be better for babies to have their own rooms starting at the age of 4 months old. The first reason that having their own room might be helpful is that—according to the 2017 study—babies with separate rooms actually slept longer than babies who shared a room with their parents. At 4 months, babies slept an average of 46 more minutes, at 9 months, 40 more minutes, and at 30 months, infants who slept in their own rooms earlier tended to sleep more too. And although a few minutes here and there might not sound like that big of a deal, the AAP stresses that sleep is always a big deal. Not getting enough sleep has been associated with many negative outcomes such as poor physical, cognitive, and emotional development as well as relationships with parents. It's also been shown that sleep habits set as an infant tend to remain later in childhood, so it's important to start safe sleep practices early on. Can Parent-Baby Room-Sharing Be Dangerous? In addition to finding that room sharing might mean less sleep for both parents and babies, the study also found that room sharing might be associated with some dangers. They found that sharing a room was actually associated with unsafe sleep practices that were previously linked to sleep-related deaths in babies. This may be because parents and caregivers are more likely to lapse into unsafe sleep practices, like putting the baby in their own bed or falling asleep with the baby during a feeding if the baby is in their room instead of his or her own room. For example, they found that babies who shared a room had 4 times the risk of bed-sharing than babies in their own rooms. Every baby is different, so every family will need to take their own needs into consideration before deciding what sleep environment will be best for their baby. Not all families, for example, have a choice about room-sharing because they may simply not have the space. However, the latest recommendations from the American Academy of Pediatrics encourage parents to re-consider room sharing with their infants between the ages of 4 and 9 months old. Giving your baby his or her own room to sleep in after the age of 4 months, and being sure to practice safe sleep habits might equal more sleep for all of you, which is always a good thing. You should talk to your doctor about what is the safest choice for you and your baby. American Academy of Pediatrics.SIDS and Other Sleep-Related infant Deaths: Updated 2016 Recommendations for a Safe Infant Sleeping Environment. Pediatrics.October 2016. Paul IM, Hohman EE, Loken E, Savage JS, et al. (2017, June). Mother-Infant Room-Sharing and Sleep Outcomes in the INSIGHT Study. Pediatrics, e20170122; DOI: 10.1542/peds.2017-0122.